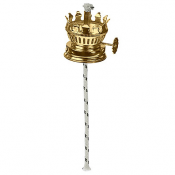 Chimney Holder - 3" Dia. 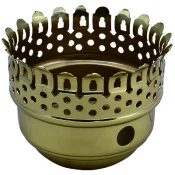 Antique Brass Finish Chimney Holder. 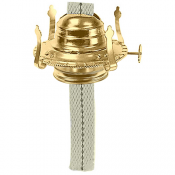 For use with turn-style sockets and 3" glass chimneys. 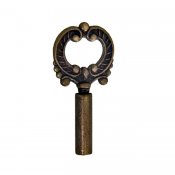 Die Cast Antique Brass Lamp Key. Measures 1-5/8" long. Check ring 7/8", pack of 10. Check ring 1". Pack of 10. 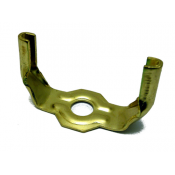 Check ring 1-1/4", pack of 10. 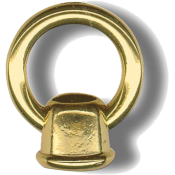 Check ring 1-1/2", pack of 10. Check ring 1-7/8", pack of 10. 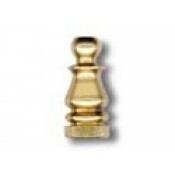 Solid brass finial 1-1/2” height. 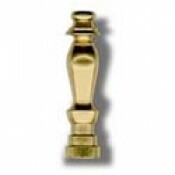 Solid brass finials 1" height. 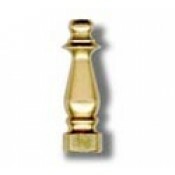 Solid brass finials 1-3/4" height. 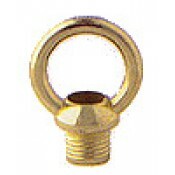 Finial - Loop- 1 3/8" - 1/8"I.P. Finial loop - 1 3/8" - 1/8"I.P. 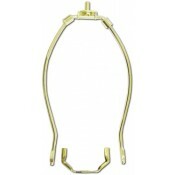 Metal Loop Finial 3/4" Male tap. 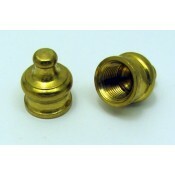 Solid Brass Knob - 11/16"H 1/8"IP. Harps - Harp Nut (only). Harp - 7 inch. Includes harp nut. Harp - 8 inch. Includes harp nut. 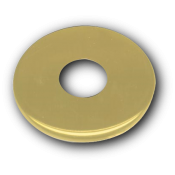 Rubber Washers - 3/4" white. 1/8" I.P. 50/pkg. Wire Connectors - No. 2. Package of 50.